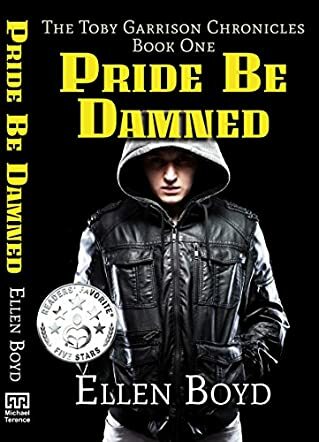 Pride Be Damned: The Toby Garrison Chronicles, Book One is a young adult mystery novel written by Ellen Boyd. Toby was not going to allow his father to dictate the terms of his life and existence, and he was determined to do something about it right then and there. The fifteen-year-old had been infuriated when his father took him out of school in New York City and dumped him in the small rural town where he had grown up. Now Toby was expected to molder away in Misty Falls while his friends were partying in the New Year just three hours away. He didn’t see anything really wrong with his acting up a bit since his mom had died three months before that, and he figured that hot-wiring his dad’s prized classic Charger and driving into the city was the perfect way to assert himself. What he hadn’t counted on was the fury and resentment that Sheriff Quentin Ballard harbored for any member of the Garrison family. Toby was stunned when the police cruiser he had tried to outrun began to ram the Charger with the deliberate intent to cause him to crash. But that was just the beginning. Toby and his dad were quickly embroiled in a life or death situation. Ellen Boyd’s young adult mystery novel, Pride Be Damned: The Toby Garrison Chronicles, Book One, is an action-packed and exciting thriller story about a corrupt and vindictive sheriff and the Garrison family that he’s determined to destroy. Boyd’s plot is intricate and a lot of fun to follow, and her characters, especially Toby and his Special Forces Uncle Jake, are finely crafted and credible. Her plot works on a number of levels and encourages the reader to get involved and try to understand the motivation behind the sheriff’s behavior. I’m looking forward to the next book in this well-written and enjoyable series. Pride Be Damned: The Toby Garrison Chronicles, Book One is most highly recommended. I absolutely agree with this review. Ellen use of story telling is remarkable on so many levels. Looking forward to the confining of the series.